This report shows the number of listed companies, trading days, indices, active stocks in the market and foreign participation. 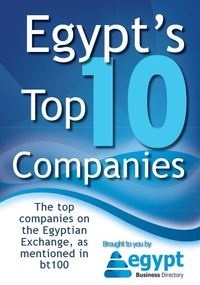 Total number of listed companies on the main market amounted to 214 at the end of September 2011. Meanwhile, the number of listed companies on Nilex reached 19 at the end of September 2011. There were no new listed companies on the Main market this month. Meanwhile, one company was listed on Nilex, with a total capital of US$ 0.67 million (LE 4 million). Total number of trading days in September 2011 amounted to 20 days with a total value traded of US$ 1,692.22 million (LE 10,095.27 million). Value traded of the main market amounted to US$ 1,569.69 million (LE 9,364.29 million), of which shares, bonds and funds represented 89.46%, 10.54% and 0%, respectively. Unlisted securities i.e. Over the Counter trading reached US$ 120.59 million (LE 719.38 million), which represents 7.13% of total value traded for the month. Additionally, Nilex has recorded a trading value of US$ 1.94 million (LE 11.59 million) during the month. This is in comparison to August 2011, when value traded of the main market amounted to US$ 1,919.04 million (LE 11,424.07 million), of which shares represented 58.76%, bonds 41.24% and funds 0%. In addition, the OTC trading amounted to US$ 171.52 million (LE 1,021.06 million) i.e. 8.19% of total trading (on- and off-exchange trading), which reached US$ 2,094.98 million (LE 12,471.40 million). Additionally, Nilex has recorded a trading value of US$ 4.41 million (LE 26.26 million) during the month. Total volume traded of the main market for this month reached 1,467.32 million securities. Meanwhile, the total volume traded of the OTC market has reached 49.8 million securities. Nilex has recorded a trading volume of 2.8 million securities. During September 2011, 423,574 transactions were concluded with an average of 21,179 trades per day, as opposed to 434,714 transactions and an average of 20,701 trades per day in August 2011. EGX 30 index, the official market index, witnessed a decrease of 10.83% in September 2011 to reach 4,137.35 points and witnessed a YoY decrease of 37.64%. Meanwhile, EGX 70 price index witnessed a decrease of 22.18% in September 2011 to reach 458.40 points and witnessed a YoY decline of 30.61%. Moreover, EGX 100 price index witnessed a decrease of 18.66% in September 2011 to reach 707.65 points and witnessed a YoY decrease of 34.31 %. Additionally, the Dow Jones EGX Egypt Titans 20 index witnessed a decrease of 9.93% in September, to close at 920.95 points on 29/09/2011 and witnessed a YoY decrease of 35.39 %. On the other hand, the S&P/EGX ESG index witnessed a decrease of 14.9% in September, to close at 665.59 points and witnessed a YoY decrease of 37.75%. The ten most active stocks in the main market represented 60.8% of the total value & 63.93% of the total volume of shares traded for the month. During the month of September, the top five gainers, on the main market, were (in descending order of price change) Saudi Egyptian Investment & Finance (+22.76%), The Arab Dairy Products Co. ARAB DAIRY (+14.83%), Misr Hotels (+6.96%), Tourism Urbanization (+6.95%) and Egyptian Gulf Bank (+4.22%). The top five losers were (in ascending order of price change) Ismailia Misr Poultry (-42.42%), Egyptian Real Estate Group (-40.80%), Egyptian Real Estate Group Bearer Shares (-39.70%), Nile Cotton Ginning (-38.94%) and Canal Shipping Agencies (-38.13%). Total market capitalization of shares in the main market amounted to US$ 53.51 billion (LE 319.25 billion) as of end of September 2011 compared to US$ 60.03 billion (LE 357.38 billion) in August 2011, representing a decline of 11%. Meanwhile, Market capitalization for the companies listed on Nilex has reached US$ 166.71 million (LE 994.54 million) at the end of September 2011. The bond capitalization recorded US$ 1.15 billion (LE 6.85 billion) for corporate bonds and US$ 36.52 billion (LE 217.89 billion) for government bonds at the end of September 2011 (Including Treasury Bonds according to Primary Dealers System). Meanwhile, the market capitalization of the Public Juristic Entities bonds amounted to US$ 838.12 million (LE 5 billion) at the end of September 2011. In September 2011, foreign investors participated with 37.35% of the value traded of the main market, with a net inflow of portfolio foreign investment totaling US$ 290 million (LE 1,731 million).